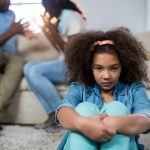 Currently, self-represented litigants in the Family Court are permitted to cross-examine opponents, even in circumstances where there has been an allegation of domestic violence. However, the Turnbull government has drafted laws aimed at stopping this. Australian attorney general Christian Porter introduced the Family Law Amendment (Family Violence and Cross-examination of Parties) Bill 2018 into parliament on 28 July. It aims to amend the Family Law Act 1975 (the Act) to prohibit the practice in certain situations. 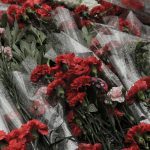 Advocates for domestic violence complainants welcome the reforms, but are calling for additional measures to ensure its success. Critics, on the other hand, point out that the prohibition in circumstances where there has not been a finding of guilt undermines the presumption of innocence, and that in any event self-represented litigants should have the right to cross-examine opposing parties. They are especially concerned that litigants who are ineligible for Legal Aid but cannot afford to pay for a private family lawyer will be unable to obtain a fair hearing, as their opponent’s evidence will remain unchallenged. They add that existing protections, such as provisions for testifying via video-link and the judge’s power to disallow harassing or intimidating questions, are sufficient to address situations where alleged offenders attempt to bully complainants. Women’s Legal Services Australia (WLSA) spokesperson Angela Lynch says she’s a “little perplexed” that it has taken until now to address the issue. She believes the fact that most people are unaware of it – including members of the judiciary – could be one of the reasons. Ms Lynch says the current practice is having a devastating effect. “Victims of violence have reported feeling suicidal, having their PTSD symptoms triggered, their medical conditions exacerbated, and being physically ill before, during and after the giving of evidence,” she states. According to the domestic and family violence lawyer, complainants have reported “downplaying the levels of violence they experienced out of fear,” as well as judicial officers being oblivious to the stress and anxiety they experience when cross-examined by their alleged perpetrator. 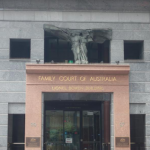 Recent research by the Australian Institute of Family Studies found that between 2015 and 2017, direct cross-examination occurred in 173 Family Court cases where allegations of domestic and family violence existed and one or both parties were self-represented. In the majority of these cases – 58 percent of them – no specific safeguards were implemented for either the witness or the cross-examiner. “Essentially there is no provision that specifically protects against the right of the perpetrator to personally cross-examine their victim currently in family law,” she told Sydney Criminal Lawyers®. The new legislation implements a recommendation by the 2016 COAG National Summit on Reducing Violence Against Women and their Children that perpetrators of family violence should no longer have the option of questioning their victims in court. If passed, the bill will insert section 102NA into the Family Law Act. The new section will provide that neither party can directly cross-examine where there is an allegation of family violence between parties. A legal representative need to do the questioning instead. 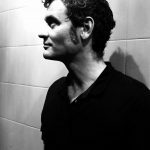 The circumstances where the prohibition applies are when one party has been convicted or even merely charged with a violence offence, or has threatened violence, or there is a family violence order in place, or when a personal protection injunction has been made under section 68B or 114 of the Act. If these circumstances don’t apply, the court can still exercise its discretion to make an order prohibiting direct cross-examination. “Procedural fairness for both parties would be ensured,” the bill’s explanatory memorandum makes clear, “as both parties may still conduct cross-examination through a legal representative.” The amendments will apply to both parenting and property Family Court matters. The bill is remarkably silent about what will occur if a party is ineligible for public legal assistance yet cannot afford a private lawyer, highlighting concerns the party will be at a distinct disadvantage as the opposing party’s evidence will remain unchallenged. Such a situation, it is feared, will result in unfair hearings and unjust outcomes. 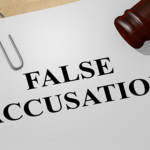 The proposed section 102NB provides that in cases where there is a family violence allegation, but direct cross-examination will take place, as new section 102NA doesn’t apply, then the court must ensure that appropriate protections are put in place. The Family Violence and Cross-examination of Parties Bill is currently being reviewed by the Senate Committee on Legal and Constitutional Affairs, which will table its report on the bill in mid-August. Ms Lynch says there are two main issues that need to be addressed so that these new provisions are successful. Firstly, she points to the need for extra funding for community legal centres, as well as Legal Aid, so there is legal representation available for those parties who cannot organise private representation for themselves. She also points to the dire need for professionals within the family law system to receive adequate training, so they are able to more readily identify trauma responses. The cross-examination reforms come on the back of the announcement that broader changes to the family law system are about to take place. 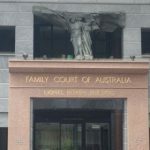 The attorney general revealed in May that the Family Court and the Federal Circuit Court will be amalgamated to reduce court waiting times. Mr Porter said that delays in the current family law system mean that it takes up to a year and a half for most cases to reach trial. These changes, which are to come into effect early next year, will see the formation of what will be known as the Federal Circuit and Family Court of Australia. While the Federal Circuit Court does deal with family matters, it’s not a specialist court. 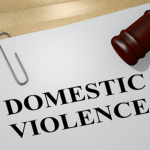 WLSA argue that there should be a focus on enhancing specialist knowledge about “domestic violence, trauma, risk, safety and abuse,” as 50 percent of matters in the family courts involve domestic violence. In September last year, former attorney general George Brandis announced a review of the family law system was to be carried out by the Australian Law Reform Commission. It’s set to report back on its findings by March next year. Ms Lynch recommends that the Turnbull government should wait for the review report, before making such “monumental changes” to the system.